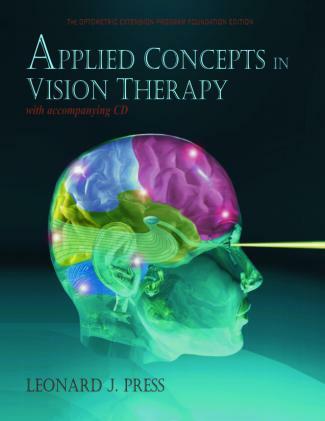 I am studying various chapters from the book “Applied Concepts in Vision Therapy” by Leonard Press. In this blog post I have compiled some of the most relevant and poignant quotes from chapter 7 called “Amblyopia: A Microcosm of Visual Disorders”. Conclusions of the Hubel and Wiesel research: form deprivation results in profound alterations of the total visual system. Practicioners should monitor amblyogenic factors (!) such as strabismus, uncompensated anisometriopia, high uncompensated isometropic defocus, organic defocus as a result of disease (cataract, glaucoma, …), or iatrogenic defocus such as prolonged occlusion. Amblyopia is complex visual processing disorder. As more research was conducted, it became evident that amblyopia involved in a decrement in virtually all areas of visual function including accommodative accuracy and facility, fixation stability, pursuit and saccadic accuracy, location in space, and contrast sensitivity. Further work uncovered the fact that amblyopia was not merely a problem confined to one eye. Invariably the fellow eye was affected by the active inhibition processes that ensued. It could even be demonstrated in unilateral amblyopia that visual processing in the fellow eye was not normal. Patients with strabismic amblyopia differed from those with refractive amblyopia leading to different treatment strategies. Overall, then, we can state that successful amblyopia therapy hinges on developmental timelines, enhancement of visual information processing and efficiency, and the facilitation of binocular integration. The modifiability of visual circuitry is a function of usage and learning as well as age. TV metaphore: Comparing amblyopic vision with a scrambled television signal is a good analogy because of the electrochemical aspects of visual processing. The sensory anomalies are analogous to the scrambling (suppression) of a weaker signal so that the local station (the nonamblyopic eye) can be pulled in without interference. The motor anomalies are akin to drift in the picture. Amblyopia is a disorder of vision development with associated anomalies in eye movements, accommodation, and spatiotemporal integration. Amblyopia is not simply a reduction in visual acuity; it is a reduction in vision. As understanding of the visual system deepens, appreciation of its anomalies broadens. The discovery of parallel processing of multiple submodalites as basic to the organization of the visual system, as well as other sensory systems, reveals the complexity of visual information processing. Use of cognitive skills to extract and organize information from the environment, and to coordinate this information with other sensory modalities and higher cognitive functions is intrinsic to the act of visual processing. If we accept that functional amblyopia is, in part, a developmental disorder, it follows that we should use a developmental model for the assessment and treatment of amblyopia. The developmental categories usually subsumed under visual information processing are visuospatial, visual analysis, and visuomotor. Predictably then, patients with amblyopia should exhibit a host of psychophysical anomalies when asked to perform visual information processing tasks with the amblyopic eye. A comprehensive approach to amblyopia therefore should involve adequate testing of central processing and peripheral function, as well as probes of spatial perception and temporal sequencing, to arrive at a differenctial diagnosis. In summary, one cannot characterize amblyopia as a disorder in vision development and function and then identify it only by acuity level and the conditions associated with reduced acuity. One must remember that although our current understanding is that visual acuity is not the ultimate variable in amblyopia, it continues to be the universal index of amblyopia among most primary care practitioners. Reduction of visual acuity in amblyopia is just the tip of the iceberg; the iceberg itself consists of gross motor, oculomotor, and behavioral adaptations to the visual circumstance. Conclusions for treatment: What is clear is that the emphasis on the ocular component of amblyopia masks the globality of developmental and adaptive processes. Long before it was popular in research circules, Kavner and Suchoff noted that inhibition of the amblyopic eye is expressed in a reorganization of the spatial values of the nonfixating eye. … Treatment of amblyopia therefore should incorporate the concept of body image and proper cues from the different senses, including the inner ear and gravitation. Thus gross motor activities involving balance, coordination, and laterality are indicated to help patients learn to overcome poor visual spatial localization caused by amblyopic viewing. In keeping with the abundant research on the extent of the anomalies exhibited by patients with amblyopia in spatial and temporal processing, the following definition appears more clinically applicable than the existing one: Amblyopia is a relative reduction in visual acuity of greater than one line (on the chart) between the two eyes, or an absolute reduction below 20/25 with either eye, with associated decrements in visual processing, including abnormalities in accommodation, ocular motility, spatial perception, or spatial projection. Also read on this website: What other visual anomalies do amblyopes have besides reduced visual acuity and stereo vision? FAQ: What ocular and neurologic diseases can be masquerading as functional vision disorders?